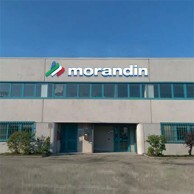 Morandin Industrial Containers produces solutions for the problems of enterprises logistics. Our solutions include the storage, handling and disposal of raw materials, semi-finished goods, industrial waste, scrap metals and even liquids. In both our design and manufacturing processes our aim is focused on giving added value to our clients' businesses, enabling them to make more efficient internal logistics processes that can make a big difference on the overall performance of your business. We are not just a simple product supplier, rather we want to be the partner of choice for enterprises. Our products fit harmoniously in all industrial sectors, due to their versatility and wide range of applicability. This makes our containers an economically advantageous investment, due to their high durability and quality standards. 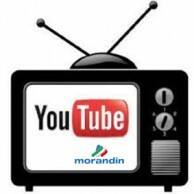 Morandin Containers means safety, reliability and guaranteed quality. Every day we work towards providing our customers with an even better product thanks to continuous efforts in solution development, new production techniques and comprehensive customer service, from initial order to post sales. 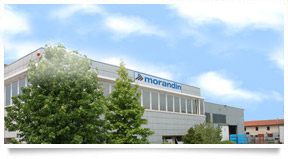 Discover the wide range of Morandin sheet metal containers, which can be optimally and conveniently adapted to solve standard and specific logistics problems in all sectors.